Item 335. Adorable Christmas Reindeer! 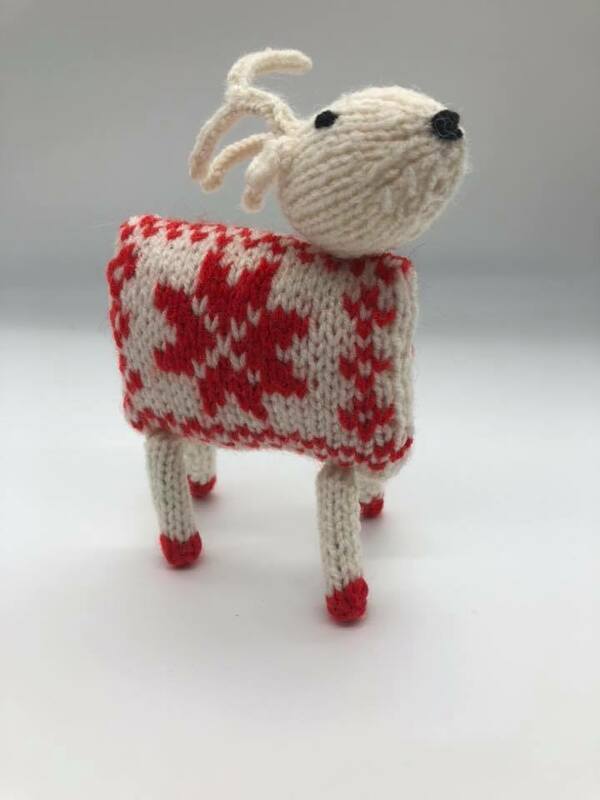 This cutie is a fabulous decoration, inc antlers he stands approx 18cm tall. Beautifully knitted. Loves! item name : 335. Adorable Christmas Reindeer! 332. Just gorgeous!! 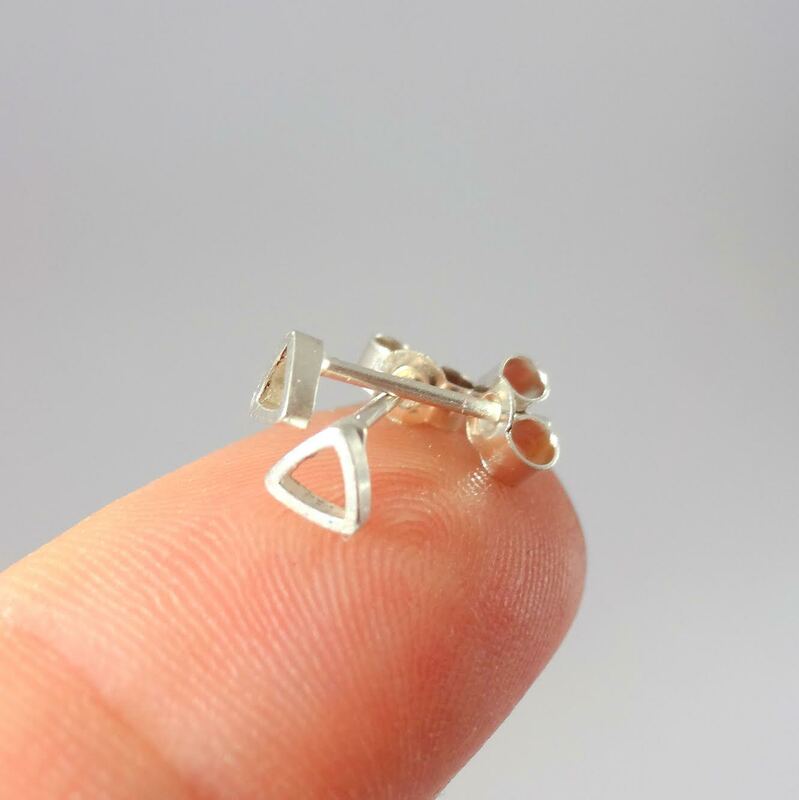 Tiny triangle earrings from the wonderful Shine On! The earrings measure approximately 5 mm in length and 1mm wide and are fitted with sterling silver posts and butterfly backs. Item 276. Beautiful bracelet with stunning glass cabochon in greens. 276. 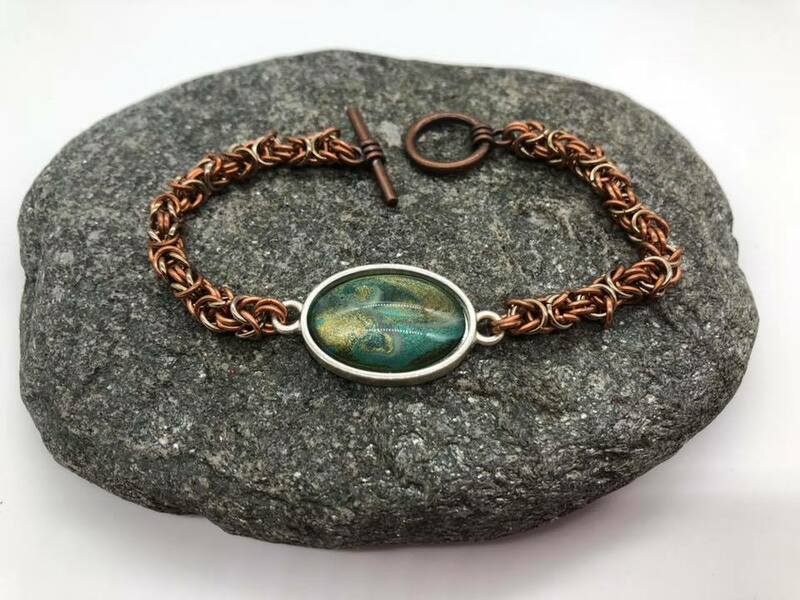 Such a beautiful bracelet with stunning glass cabochon in greens. 19cm long. Gorgeous. 276. Beautiful bracelet with stunning glass cabochon in greens. item name : 276. Beautiful bracelet with stunning glass cabochon in greens. 263. Beautiful beaded Angel bag tag with lobster clasp. Approx 4cm drop. In crystal and gold. 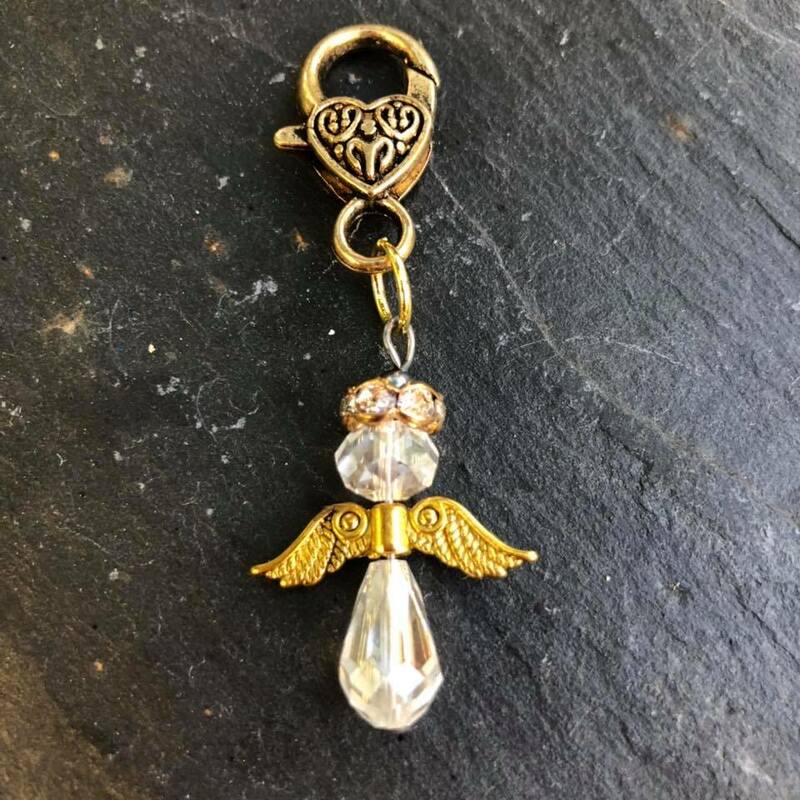 Beautiful beaded Angel bag tag with lobster clasp. item name : Beautiful beaded Angel bag tag with lobster clasp. 227. Such an adorable octopixie! 227. Such an adorable octopixie! 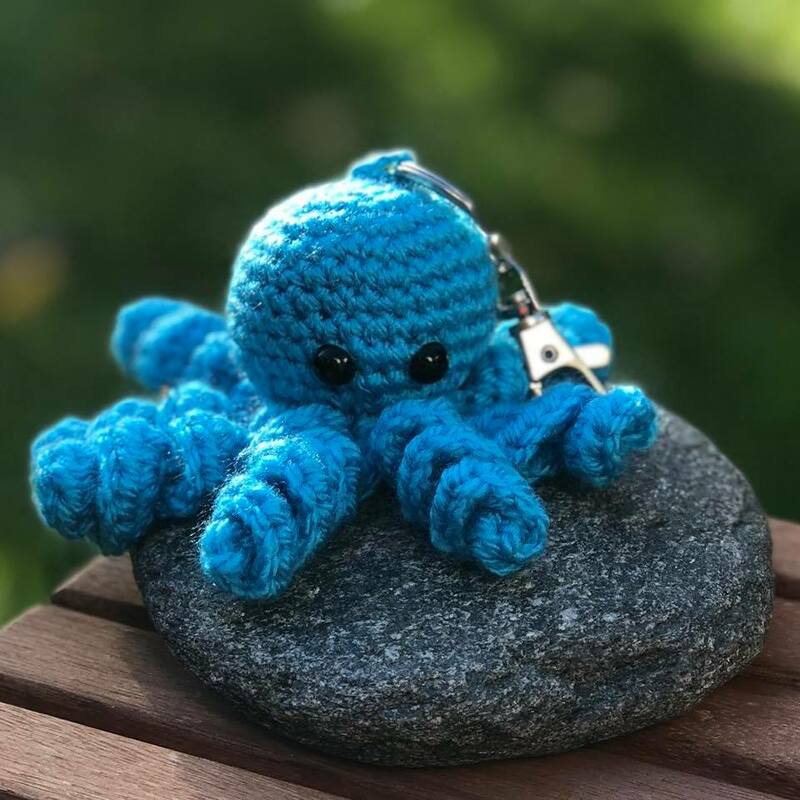 This beautiful turquoise octopus has a lobster style key ring attached. Approx 8cm. Cute! item name : 227. Such an adorable octopixie!